The much anticipated Hindi film Begum Jaan which gained lot appreciations from viewers including critics for it’s trailer, has actually got failed to attract audience toward theaters. 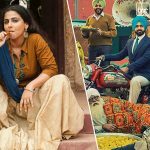 With her powerful performances, Vidya Balan, Gauahar Khan, Pallavi Sharda, Ila Arun & more impressed everyone but still remained decent over the opening weekend and faced abrupt drop in weekdays. Critics have also liked the performances of leading actresses, but half of them found it noisy and melodramatic. In the opening weekend, with overall 25-30% of occupancy, the film did the business of 11.48 crores which was including 3.94 crores of Friday, 3.51 crores of Saturday and 4.03 crores of Sunday. Now Srijit Mukherji’s directorial this action drama is running in weekdays and getting lesser footfalls in theaters than weekend. On Monday, it faced around 53% of fall than Friday and did the business of 1.87 crore. On Tuesday, with more dip Begum Jaan managed to collect the amount of 1.59 crore and made it’s 5 days domestic total as 14.94 crores. While on the other hand, adjance release Manje Bistre of Gippy Grewal is witnessing amazing response from fans as well as audience. 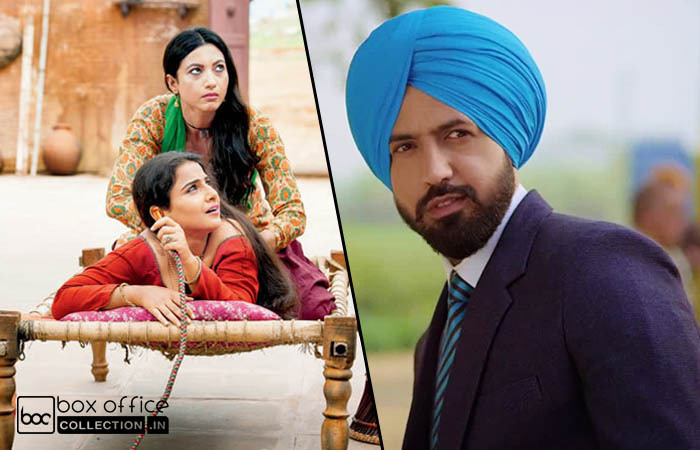 This Punjabi film reported strong opening weekend with impressive performance in Punjabi and Delhi regions. In the opening week, it minted the business of 7.02 crores domestically, with 2.25 crores of Friday, 2.18 crores of Saturday and 2.59 crores of Sunday. Director Baljit Singh Deo’s recent venture is now running in weekdays and still has good hold over audience despite considerable drop in footfalls. On Monday, it faced 44% of drop than Friday and minted 1.27 crore. With slight more drop, Manje Bistre garnered 1.06 crore on Tuesday and made it’s 5 days total collection as 9.35 crores.